I’m delighted to have been invited back to Forty Hall in Enfield, this time to the farm that is run on the site by Capel Manor College. They do an organic vegetable box scheme, and with the aid of volunteers are developing an orchard and a vineyard. The weekend that I’m taking the press to is the Lambing Open Weekend on the 21st and 22nd March, where the workers are introducing their newborn rare breed lambs to visitors, with the addition of various jollities such as Morris men and face painting. I think I am included in the ‘rural crafts’ heading and have blagged a classroom rather than having to brave the elements. I’m a bit undecided as to the work to prepare for the event though. 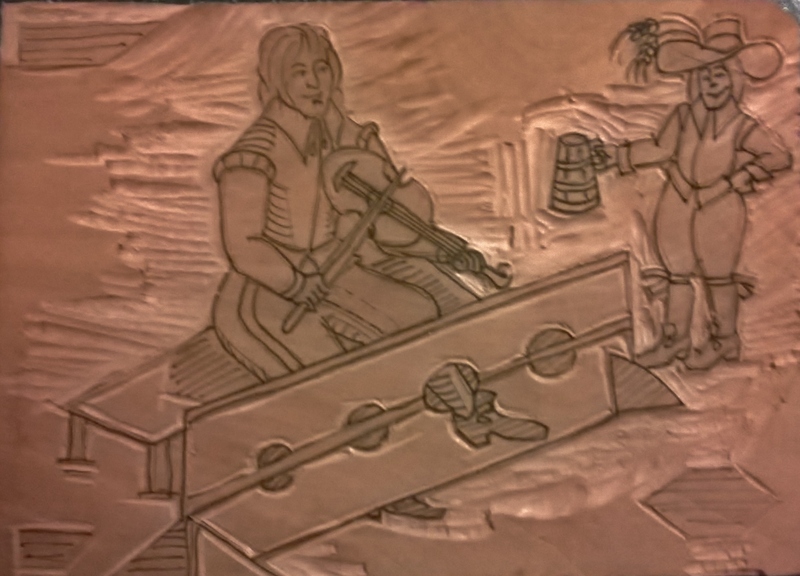 I’ve started a woodcut for a “John Barleycorn” ballad sheet that I mean to do for events later in the year, and if I pull my finger out I could get it finished in time. I’ve also done a quick vinyl which I intended at first to be the March entry for a calendar that I’d like to have available for 2016. But you know I found out…..sheep are really hard to draw! 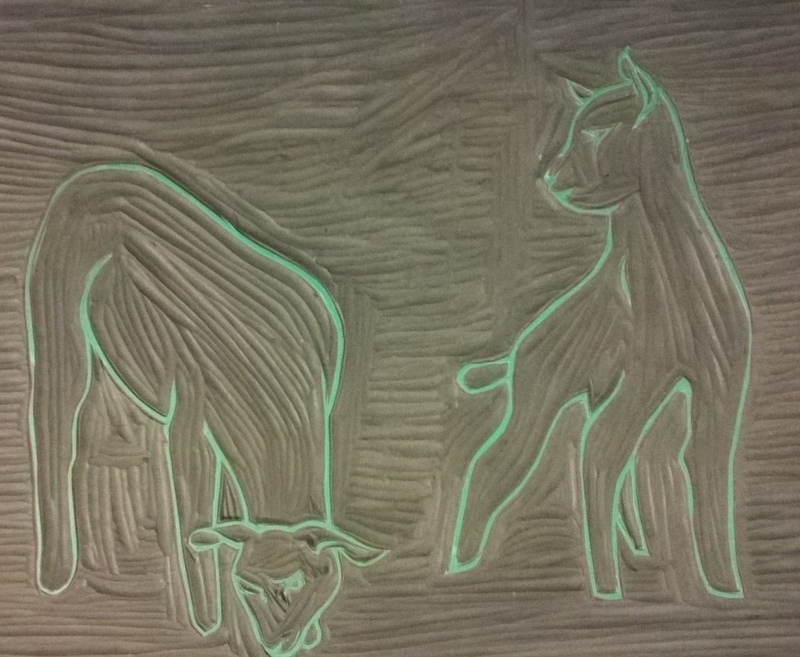 Vinyl cut of two lambs, pre-printing.